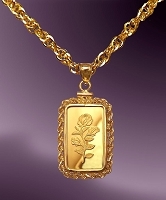 Classic necklace features Rosa 5g .999 Fine Gold bar from Swiss bullion specialist PAMP. 14KT gold French rope mount. 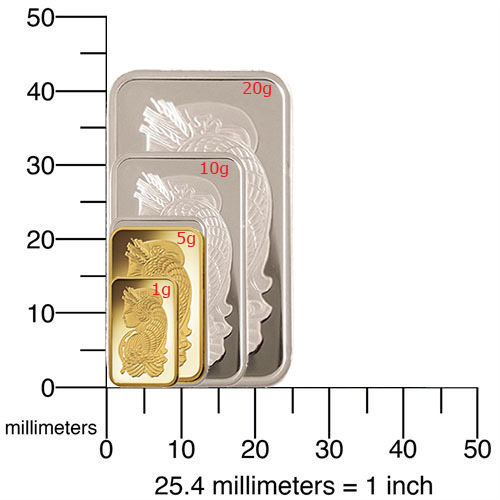 20" 14KT 2mm gold chain. 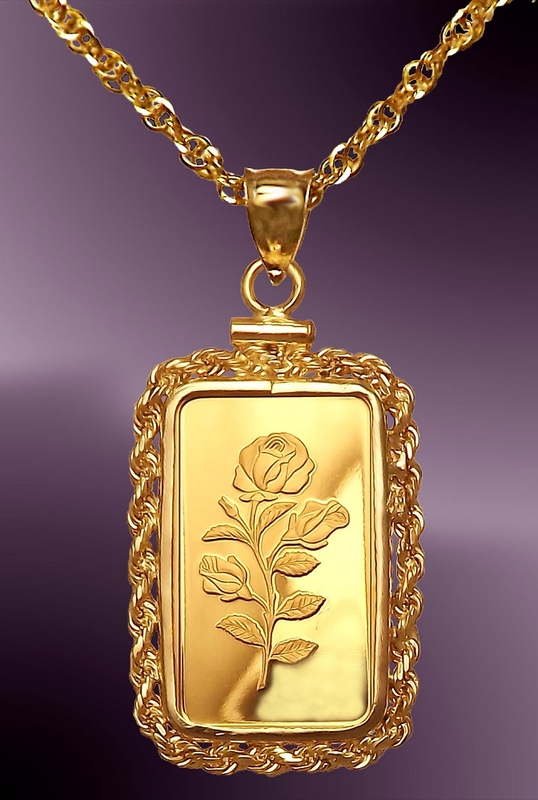 Classic solid gold necklace features 5g .999 Fine Gold bar from Swiss bullion specialist PAMP. Optionally included at no extra charge is Aurista's exclusive Lenscote protection. 14KT gold secure screw-top French rope mount. 20" 14KT gold 1.8mm 2.2g rope chain. 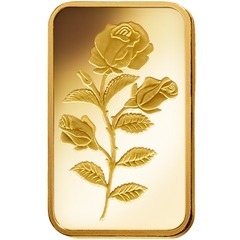 A classic and widely popular PAMP design, the Rose is the most prized and beautiful of all flowers - the ideal choice to enhance the inherent beauty and value of precious metals. Aurista's limited lifetime warranty, presentation box included.